One way we can get people to not attend this place is to leave bad reviews on popular travel sites. Feel free to grab any of our photos. Remain factual and polite. 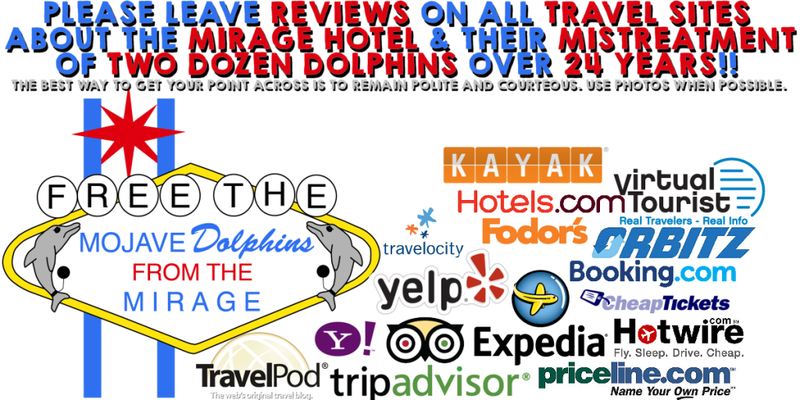 We have compiled a list of popular travel sites and will link you directly to the Mirage page on them. If you know if any sites we may have missed, please let us know.